​Not every one wants to dive and, to be honest, the Sunshine Coast offers excellent snorkelling. The only requirements for snorkelling is an ability to swim, fairly good fitness and the ability to laugh at yourself when you first don the gear and feel rather like a fish out of water. ​All of our tours cater for small groups. We even take you to areas where you can walk straight in off the beach instead of jumping from a boat. Or if you are still a little apprehensive, we offer flotation devices designed to give you extra buoyancy, and all you have to do is kick and gaze. 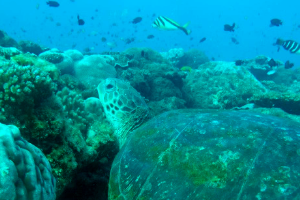 If you have not snorkelled before, give it a go and you will be richly rewarded. Many of the sites on the Sunshine Coast are shallow enough that once kitted out and shown where to go, in no time at all you will find your self mesmerised by the beauty below you. If you are a novice, let us know and we can provide training if required. All of our trips include gear hire and light refreshments, and are structured to your abilities. 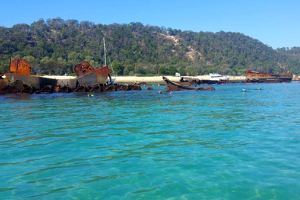 Whether you are experienced or new to snorkelling, you will have great fun spending time at the Tangalooma wrecks on Moreton Island. The depth of the dive site at the wrecks is between 2 - 12m. The amazing visibility of the crystal-clear waters ensures a great view of the surrounding fishes and corals when you are snorkelling. This tour includes return transfers to Moreton Island, lunch, light refreshments, hire of all snorkelling equipment required and flotation assistance if required. Be sure to let us know of any special requirements or assistance required, this is a child friendly snorkelling site. 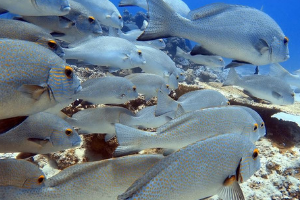 Flinders Reef is a small isolated reef near Moreton Island, 5 kilometres (3 mi) north-east of Cape Moreton inSouth East Queensland, Australia. 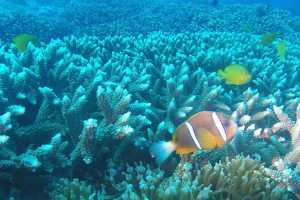 It has the highest number of coral species of any subtropical reef system along Australia's east coast and is the nearest true coral reef to Brisbane. A huge variety of colourful fish inhabit the area and turtle sightings are a regular highlight of a snorkelling adventure at Flinders Reef! 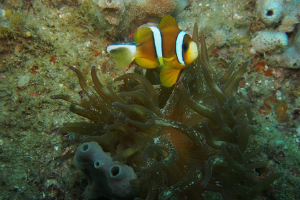 This full day tour includes lunch, ​hire of all snorkelling equipment required and flotation assistance if required. 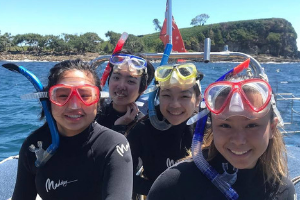 "We had a great time snorkelling with Steve! He was informative, friendly, knowledgeable and fun to be with. He made the whole experience comfortable and relaxing as it should have been. We highly recommend Steve and Subsurface Scuba!"